Ah, summer — the perfect time for baseball. While there’s nothing like taking in a game with your friends on a sun-soaked afternoon, tickets are getting more expensive every season. The average Major League Baseball ticket now runs around $30, but good seats along the third baseline cost much more, especially for fans in larger markets. Fortunately, you can score cheaper seats for baseball and other sports through alternative ticket exchanges. Even better, buying tickets through the secondary market helps you save time and avoid long lines. I typically go to at least 15 to 20 games during a given year, and these strategies help me save $150 to $200 per year. These five alternative ticket-sellers typically offer cheaper tickets than the box-office, so you can afford a hot dog and watered-down beer at your next game. 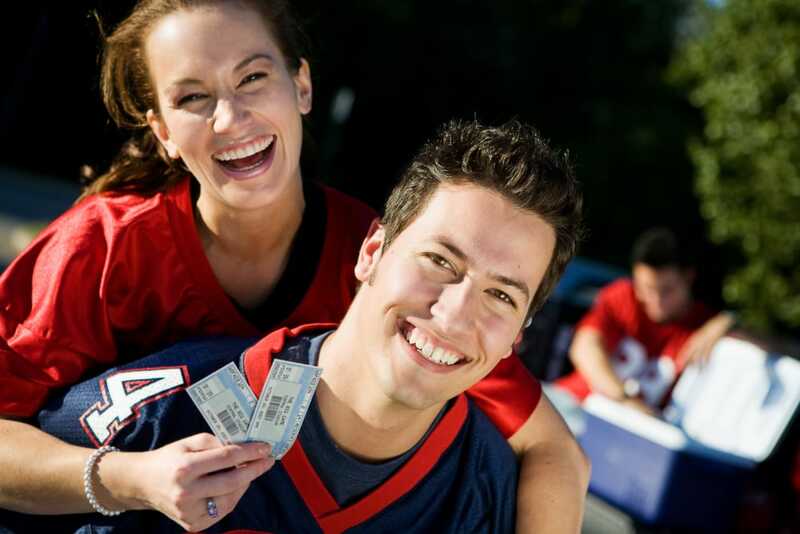 From personal experience, there are typically two types of ticket scalpers. Professional scalpers want to make as much money as possible, and often mark up their tickets above box office prices. On the other hand, some scalpers are simply people who can no longer attend a game. They’re desperate to unload their tickets at the last minute, offering seats $15 to $20 below the list price. The latter type is more common than you might think. When I was visiting Coors Field in Denver, I paid a mere $10 from a scalper for clubhouse seats behind home plate! While you can never be absolutely sure scalped tickets are real, there are a few ways to hedge your bets. It’s better to buy tickets from the second type of scalper, rather than someone who is actively buying and selling tickets. Make sure you know the general price range for the event to avoid being ripped off. Knowing what the event tickets look like can help you avoid counterfeits. If the scalper is selling more than two or three tickets, ask to quickly scan them to make sure their barcodes don’t match — a good sign the tickets are fakes. StubHub is a secondary sports ticket market where fans can buy and sell their tickets online. It’s a particularly a good resource for hunting down hard-to-find tickets or ones that have sold out. The site’s interactive seating chart shows you the exact location of your potential seats, as well as their list price. It’s also officially licensed by the NFL, NBA, NHL and MLB, and all tickets are guaranteed to be legitimate. I’ve scored many good ticket deals using StubHub, paying as much $25 below the box office price. Best of all, Stubhub has no hidden fees! SeatGeek is an online ticket search engine that searches hundreds of ticket-resale sites and lists the best bargains. Like StubHub, SeatGeek has an interactive seating chart with each ticket’s price and location. Although I’ve found some good deals with SeatGeek, the site typically charges higher ticket prices than StubHub. ScoreBig works a little bit differently than StubHub and SeatGeek. The site ranks seating areas in each venue from one to six stars (six stars for a front-row seat) and shows the average discount you can expect in each one. Choose a seating area and enter your maximum bid for the ticket. If your bid is accepted, you’ll get a seat from that area. If your maximum ticket price is not accepted, you won’t pay anything. ScoreBig claims customers can save up to 60% on the box office price. Between the hundreds of daily ticket auctions that give you the potential to find bargain deals, and the buy-it-now listings that allow you to purchase tickets without the hassle of watching auctions, eBay is a great source of sports tickets. I recently won an auction for a pair of Penguins playoff tickets each cost $30 below the box office price. Being willing to wait and actively bid on ticket auctions can help you score the best deals on eBay. The next time you want to go to a football or baseball game, try these ticket exchanges before paying full price at the box office. Your Turn: How do you save money on sports tickets? Have you tried any of these sites or strategies? John McCool is an undergraduate student studying statistics and chemistry at the University of Pittsburgh. In his spare, he enjoys researching sports analytics and fiddling around with his violin.